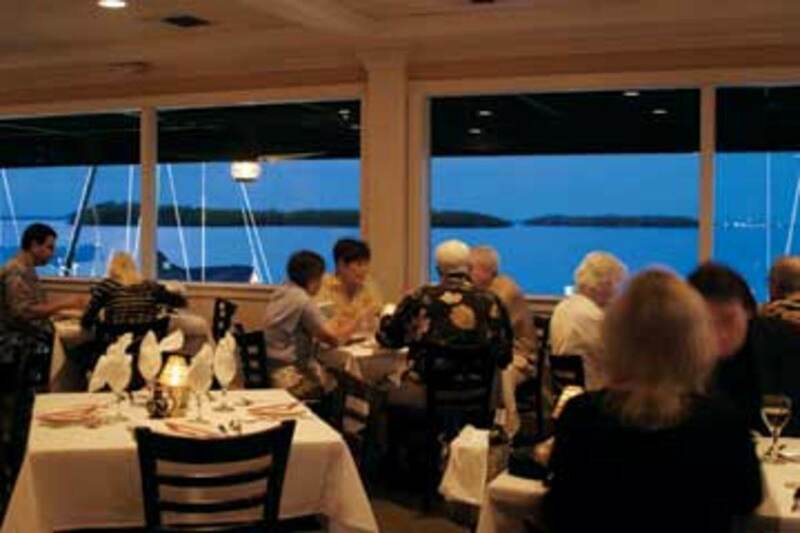 Diners at Pattigeorge&apos;s in Longboat Key can injoy cooking bay breezes and views of Sarasota along with American fare with exotic hints. 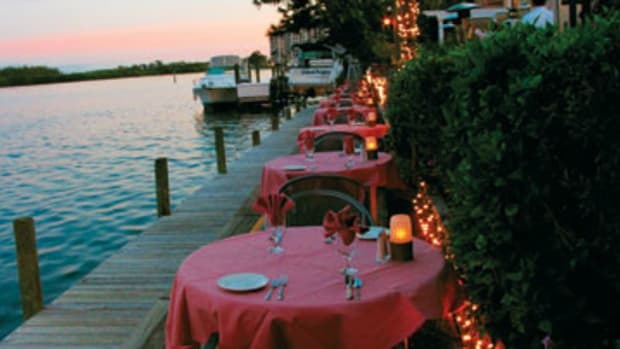 The charm and laid-back attitude of chef/proprietor Tommy Klauber (trained in La Varenne&apos;s Ecole de Cuisine in Paris, France, and honored by Chefs in America) is what makes Pattigeorge&apos;s an exquisite choice for those desiring to indulge in diverse international dishes. He encourages boaters to dock in one of the nine slips that can accommodate vessels to 50 feet and wander up to the "Key West-style house with an old-Florida outside." The real adventure begins when you choose a meal from a menu that is a fusion of Italian, Asian, and South American influences. Even the fun names reflect exotic inspirations: Palermo pad Thai, woo woo pizza, kicked-up wasabi mashed potatoes. Klauber&apos;s deft hands are intent on creating the best. He stresses, "Our menu changes daily depending on what is fresh and available" and adds that the most popular picks are the miso-glazed chilean sea bass and crispy lobster tails.